Japanese car maker Honda has reversed its decline phase in the market with its new 'City' and 'WR-V crossover' models. 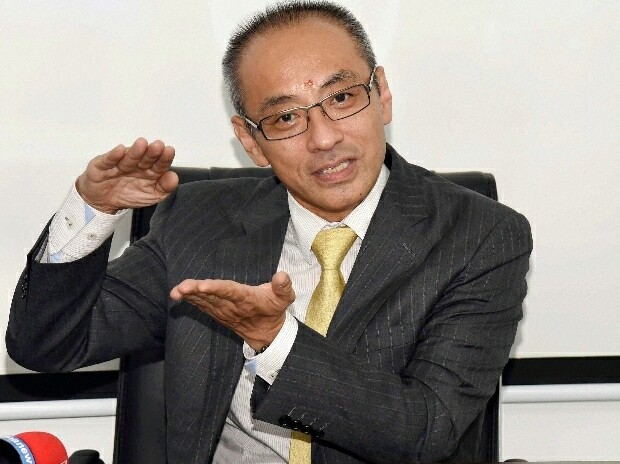 Yoichiro Ueno, president and chief executive officer of the fourth largest domestic car player, tells Ajay Modi that it is difficult for global companies like Honda to make large commitments in India because of the tax structure that favours smaller vehicles. Honda commands the fourth position in Indian car market. How critical will it be to retain the position? Our position is fourth, but our market share is only 5-6 per cent, which is almost negligible. The position doesn't make much sense at this moment... be it three, four or five. There are only two major players — Maruti Suzuki and Hyundai — with over 10 per cent share in India, which is an unhealthy situation. Others are niche operators. If you can't exceed 10 per cent share, you are a minor player. Given the size of the market, there should have been more diversity. What are the possibilities for Honda? Can it have a larger market size? Volume-wise we are okay but we're struggling as far as the market share is concerned. Our growth will depend on the government's car manufacturing policy. The tax structure in India is different and makes it difficult for global major players to play here. The sub-four metre regulation exists here but the market below four metres is limited in other countries. Therefore, most of the global manufacturers do not have a lot of cars in that segment. In India, this segment is strongly promoted. I am not sure if this is a good thing. If this is not changed, big global players will continue to struggle here. By 2020, India is poised to emerge as the third-largest auto market. What will be pillars for Honda here? Volume-wise, no one doubts the growth of the Indian market. But commitment wise, there is a challenge due to regulations and restrictions like sub-four metre taxation. The market is artificially skewed towards specific segment and is not really open. It is very difficult to completely commit to this market. There is no clarity whether such regulations will continue. People aspire for bigger cars for space and comfort. It is important to promote affordable market but the size is getting bigger and people want larger vehicles. I am not sure who is benefiting from this. Usually, small cars have fewer technologies and are basic and the government should review policy. Some global players can make a commitment if the structure changes. How will Honda’s product line up evolve in next two-three years? We are not planning to bring exclusive models for the Indian market. Our volume does not justify that. We can bring cars that are shared with other markets. All our small compact models are already here. We can now bring a bit upscale models. We see interest for the 'Civic'. We may add bigger cars. The company saw a sustained decline in sales last year. With new 'City' and 'WR-V' is the worst behind you? Our dealers had a high inventory of slow moving models last year. And then we saw demonetisation. Both led to a decline. The situation has now turned better. The recovery is supported by new 'City' and 'WR-V'. After few months their impact may decline. We are monitoring the situation and planning activities to sustain growth. How is the R&D (research and development) set up here placed to play bigger role in global development of products? The initial focus for R&D was localisation. They found suppliers here and redesigned parts for local manufacturing. Of late, they are also contributing to development of new cars. WR-V was developed in collaboration with R&D of Japan. Such activities can continue. Our engineers are gaining experience and getting more capable. In future models, our members will be involved to suggest local requirements. How did Honda Cars perform financially in FY17? FY17 was a difficult year as volume was down. It was a tough year, financially, because of the amortisation of earlier investments and rise in labour costs. But, we made profits. We are working to reduce unnecessary expenses. We can now produce same number of vehicles with less people due to productivity improvement.